Slots Hall Casino is brand new and has been in operation since 2019. It is rapidly becoming one of the most popular online casinos among South African players because of the many local player-friendly elements to it. These include support for payments in Rands using locally popular methods like EasyEFT and EFTpay. The casino has a fantastic interface and over 300 games thanks to the use of software from Real Time Gaming (RTG). You get all kinds of games to play here, including a variety of classic and video slots, tables, video poker, specialty games and progressive jackpots. Another talking point about SlotsHall casino is its fast withdrawal timeframes. This is a big plus given that long withdrawals timeframes have been the cause of negative publicity for most online casinos all along. Excellent customer support rounds off a generally good gaming experience when you play here for real money, and all of these features make this a popular player-friendly online casino. First deposit: 200% match up to R10000 and 20 free spins. You can claim the bonus with the coupon code WELCOME1. Second deposit: 150% match up to R10000 and 30 free spins. You can claim the bonus with the coupon code WELCOME2. Deposit between R200 and R399 for a 120% match bonus and 20 free spins. Deposit R400 or more and get a 130% match bonus and 30 free spins. You get a 125% match bonus on a single deposit that you can claim using the coupon code ROCK-MONDAY with this bonus. The bonus is available only on Mondays. 130% match and 40 free spins with the coupon code FRIDAY130. 160% match and 20 free spins with the coupon code FRIDAY160. First deposit: 80% match and 25 free spins using the coupon code SUNDAY80. Second deposit: 110% match and 50 free spins using the coupon code SUNDAY110. Get a cool match bonus and free spins on the game of the month with this promotion. 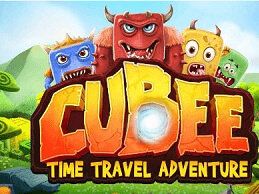 For the month of March 2019, the game of the month is Cubee and the bonus you get is 75% match and 10 free spins on that game. You can claim the bonus with the coupon code CUBEE75. Get a match bonus of 75% on a single deposit every day with this promotion. The coupon code to claim it is HOWZIT. Get a 100% match bonus every day with this promotion, using the coupon code YEBO100. The minimum qualifying deposit for this bonus is R300. Claim a 75% match bonus and 15 free spins every day with this promotion. The minimum qualifying deposit is R250 and the coupon code to claim it is HAYIBO. Get a 115% match bonus and 25 free spins daily on a minimum qualifying deposit of R400 with this promotion. The coupon code to claim this bonus is EISH115. Make a minimum deposit of R300 and get a 125% match bonus and 40 free spins with this bonus. The bonus is available daily and the coupon code to claim it is JOLTIME. Get a 100% match bonus every day, along with 20 free spins, on a minimum qualifying deposit of R350 with this promotion. The coupon code to claim this bonus is LEKKER. With this promotion, you get a 120% match bonus and 30 free spins daily on a minimum qualifying deposit of R450. The coupon code for this bonus is JUSTSOMMER. Slots Hall Casino guarantees a secure gaming environment, which means all your payments and withdrawals are completely protected and safe. The casino is able to do this with the use of the latest industry-standard security technology like 128-bit SSL encryption. You can relax and make your payments in Rands. And if you are a non-South African player, you have the option of paying in Euros (€). The casino supports a number of locally popular payment methods. The deposit methods supported include Visa, MasterCard, American Express and Diners Club International credit cards, Visa debit cards and Visa eVoucher, e-wallets like NETeller, Skrill and EcoPayz, locally used payment methods like EasyEFT and EFTpay and also Bitcoins. Players need to use the same method for deposits and withdrawals. If a deposit method is not supported for withdrawals, the funds will be sent to your bank account through bank transfer. The maximum withdrawal allowed per month is R100K. Any amount above R100k, including progressive jackpot payouts, will be paid out at the rate of R100k per week. Mobile technology has achieved significant penetration levels in South Africa and there is massive usage of smartphones and tablets among people here. Slots Hall Casino recognizes the urge for people to play from their smartphones and has a fantastic mobile casino to help them do exactly that. The mobile casino uses HTML5 and boasts of a fantastic responsive interface that ensures all the elements of a page fit perfectly on your device screen. The casino is compatible with the Android, iOS and Windows Phone platforms. All the promotions at the desktop casino are available to mobile casino players. However, the game range is limited; 120+ compared to the 300+ at the desktop casino. One thing that you will love about SlotsHall casino is its game portfolio. You get 300+ games of the highest quality from one of the best in the business – Real Time Gaming (RTG). There is a spectacular array of slots, including classic 3-reel slots, 5-reel and 6-reel video slots and progressive slots. You can play the cool Real Series slots at this casino. The casino has a good selection of table games as well, including variants of blackjack and roulette, baccarat, Caribbean Stud Poker and Caribbean Hold’em, Tri Card Poker, Vegas Three Card Rummy and more. Video poker fans have a good variety of games to pick from as well, with games like Jacks or Better, Deuces Wild, Joker Wild, Loose Deuces and more available in single hand and multi-hand variants. For those who love specialty games, the casino has time-tested favorites like scratch cards, Keno and bingo and also some brand new games, including the board game Banana Jones and the shooting game Fish Catch. 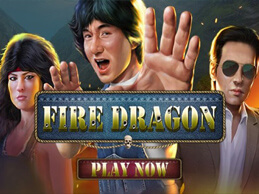 Fire Dragon is one of the newest slots from the RTG stables and is the third game in a series themed on cult Hollywood martial arts actor Jackie Chan. The game has 5 reels and 20 active paylines. The maximum jackpot you can win here is 50000x the line bet or 2500 the stake. The symbols on the reels include Jackie Chan, a female protagonist and the slickly clad villain. There are also Ninja masks that make an appearance and have the potential to give you good wins. The Ninja mask is the scatter symbol in the game. The game has a wild symbol that can replace all other symbols except the scatter to give you some cool winning combinations. Landing 3 or more Ninja mask symbols on a winning combination triggers the free spins bonus round. When you land these symbols a fresh screen appears with Ninjas sliding ropes and exploding smoke bombs to trigger the free spins bonus. You get 10 free spins that can be re-triggered. And then there is the randomly triggered progressive jackpot attached to the game, which has the potential to give you a really huge payout. On the whole, Fire Dragon stays true to the RTG mantra of offering good quality gaming, but doesn’t have anything spectacular to offer. Even then, this is a game with a great theme, good looks, cool features and a great maximum jackpot payout, and it is something definitely worth checking out. In an age where all online slots are more or less alike – the only difference is in things like the graphics and some of the features – Cubee from RTG stands out as that unique slot that you just have to check out. This is a slot themed on time travel with Cubee as the protagonist. You can travel with him and help him defeat the villain Rocco and his friends and, in the process, rescue the Stone Age, the Era of Piracy and also the Viking Age. The layout is different in that you don’t get the standard reels and paylines. Symbols seem to manifest anywhere on the screen and you get rich rewards from Cubee for your help, in the form of free spins and multipliers. There are a variety of symbols, including bows and arrows, cannons, transparent power balls, axes and rivals in different colours. The weapon symbols that appear on the screen depend on the era you are playing in. Spike, Lucifer, Bones and Casper deliver cash rewards. The weapons help make Rocco weaker while power balls help increase Cubee’s power. The game play commences in the Stone Age and moves on to the Viking Age through the Era of Piracy. To move from one era to another Cubee has to defeat his enemies and his main foe, Rocco. 8 symbols float on to the screen when you click the Spin button. Each time you defeat 3 enemies you get a payout and defeating Rocco helps you get to the next era. Special features in the game include free spins and multipliers. The number of free games increases each time a cannon appears during the Era of Piracy. The bows and arrows in the Viking Age act as multipliers. You accumulate these as you play and get to use them once you reach Cubeeland, Cubee’s homeland. Getting 3 to 8 enemies simultaneously on screen gets you the payout and you can get up to 40x your stake. Slots Hall Casino is one of the best around for South African players because of its looks, game range, promotions, payment support and customer support. The support for South African Rands and locally popular payment methods has contributed a lot to the surge in popularity this casino is experiencing in the short time it has been around – it was launched in early 2019. The progressive jackpots are great too, as they give you a shot at a really good win. All of these, together with the secure and safe gaming environment, guarantees you a good gaming experience when you sign up here.